Turkey is majority Muslim but officially secular. 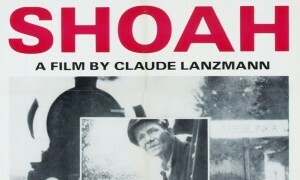 Shoah has been watched by hundreds of millions of people around the world, Mr Lanzmann said, but no Muslim country had presented the film on an official television station until now. He said he hoped that other Muslim countries would follow the Turkish example. “I am sure that it will be broadcast in all Arab countries” in the future, he said. The broadcast of Shoah on TRT was promoted by the Aladdin project, an organisation under the patronage of Enesco, the United Nations cultural arm, that promotes closer ties between different groups. The organisation regards education, knowledge and history and a rejection of holocaust-denial as its main tools. Abraham Radkin, director of Aladdin, said the fact it had taken so long for Shoah to be broadcast on an official channel was because of many Muslims’ perception of the Holocaust. The broadcast was designed to mark the international Holocaust Memorial Day today. Mr Lanzmann, 87, is ill and will deliver his speech by video link. “It is no coincidence to me that Turkey is now the first Muslim country to present my film on public television,” Lanzmann said in a written copy of his speech. Turkey, a predominantly Muslim country of 74 million with a Jewish community of roughly 30,000 people, prides itself on providing shelter for Jewish intellectuals and artists who fled Nazi Germany in the 1930s. Relations between Turkey and Israel, once close allies, plunged after Israeli soldiers raided a ship trying to bring aid through the Israeli blockade of Gaza and killed nine Turkish activists in 2010. That incident remains an obstacle in repairing ties. Despite the official sympathy for Jews, there have been militant attacks against Jews in Turkey. During a series of attacks in November 2003, Turkish followers of Al Qaeda drove truck bombs into two synagogues in Istanbul, into a British-owned bank and into the British consulate in the city, killing more than 60 people. Shoah, produced in 1985, tells the story of the Holocaust by showing concentration camps and interviewing those involved. The version that was to be aired by TRT had Turkish subtitles, Mr Lanzmann said. Those who appear speak in their own language. “I am sure that Turks can be completely moved, overwhelmed by Shoah,” he told The National. Shoah’s scheduled Turkish debut came only days after the upper house of the French parliament passed a bill that is signed into law by the president, Nikolas Sarkozy, would make it illegal to deny Turkey’s genocide of Armemian in the First World War, with stiff fines and jail terms. However, the law could be overturned by France’s constitutional council if 60 senators can muster a challenge. Turkey’s government has denied the deaths amounted to genocide. Mr Lanzmann was very critical of the French genocide bill. “It is an absolutely stupid law,” he said.